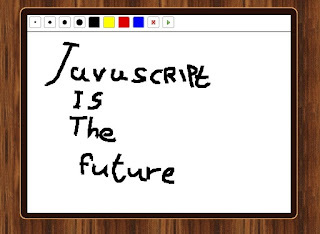 Now, just add the buttons that change the line width and color and start to draw inside the html5 canvas element. In the next post, We will learn how to record the user movements and to play it, just like the DrawSomething app. That is a good thing. I hope I could use it freely, nevertheless, its modifications are too complicated to me. Each element is important in this structure of the code. We need to draw the clean lines to create the desired application. I would like to learn how to record the user movements and to play this game. It must be exciting! My name is Elad Yarkoni. I'm a web and mobile applications developer and the stackjs.org framework owner. elad yarkoni. Awesome Inc. theme. Powered by Blogger.